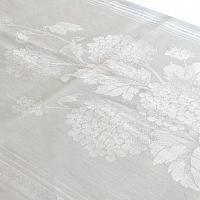 Exlusif grande luxe Damask Tea Towel, impeccably woven of the finest linen with a stunning floral Hydrangea design. 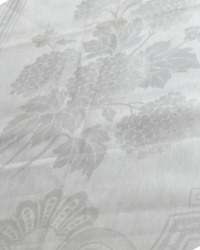 This antique Linen Towel is of a fine heavy quality, cool to the touch, a light cream color with beautiful silky sheen. 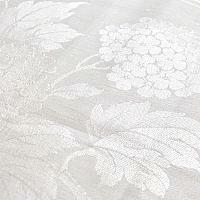 The large floral bouquet is complemented by a shell design. 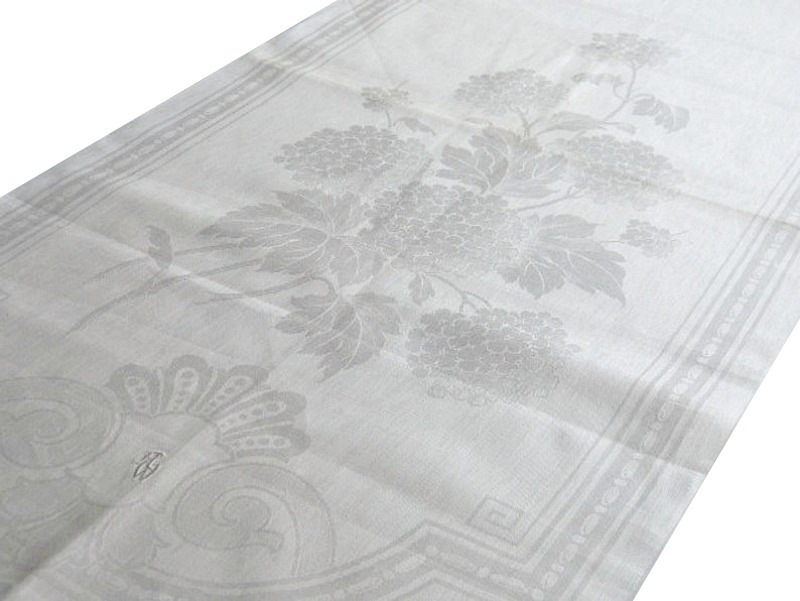 Hand embroidered in cream monogram of A W.
The luxury fine quality towels are the most rare to find, and the most collectable. 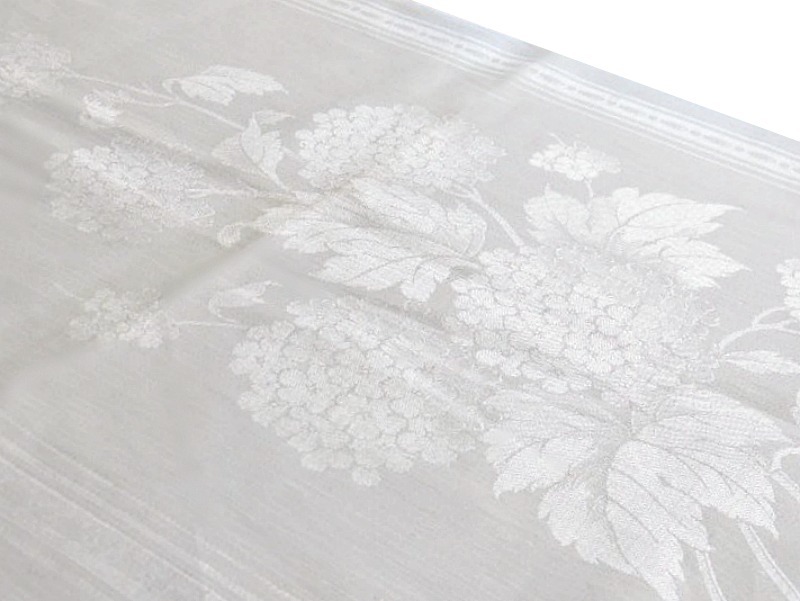 This heirloom family linen towel comes from a trousseau, made in the art nouveau period 1897-1910, for a young woman of means, never used. Two large cotton loops for hanging. The design is gorgeous, but very difficult to photograph-trust me, if you collect, this is a treasure. There is a small dark spot from being in storage over a century. 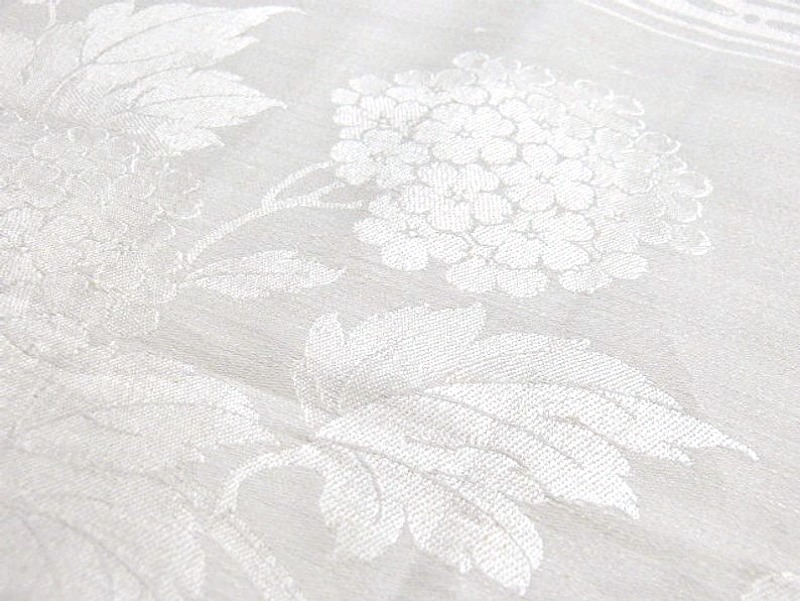 A glorious addition to your collection of antique textiles, or to present as a luxury host or hostess gift.